Beyond the Fields, a Celtic folk rock band from Lake Constance (Switzerland), was founded in 1998. Apart from a 3 track EP (“Home”), the band had only recorded some “unofficial” live shows. Finally, the current line-up has recorded their 11 track debut album titled “The Falcon Lives”. André Bollier is the band’s frontman, lead vocalist, acoustic guitarist and songwriter; Marcel Bollier, the bass player; Uwe Schaefer, from Germany, plays mandolin; Eddy Sloof, from The Netherlands, is the drummer and percussionist; and Eva Wey, who also played on Keltikon’s debut album, is the fiddler. Maybe the names are not well-known, but all of them have a long background. For instance, Marcel and Eva teach their instruments and Eddy is a sound engineer. Taking into account that they’ve been playing live for a long time, Beyond the Fields have chosen their best material from a 40 songs repertoire. “The Falcon Lives” was recorded, mixed and mastered by Eddy in spring 2014. All the tracks have been written by André and arranged by the band, with the exception of “Blue Murder”, a poignant rendition of Scottish/Aussie songwriter Alistair Hulett's song about Australia's greatest industrial disaster. As André pays a lot of attention to lyrics, most of them are focused on feelings. However, there are also complaints about the mainstream music market (“The Artist’s Song”) or living in England ("The Canterbury Tales Part 1: The Traveller’s Lament”. Visit the lyrics section at the band's website for further info about this number). Musically, I feel that Beyond the Fields share a common ground with English folk rock bands such as The Rattlers and Why? and Celtic pop/rock bands such as Coinneach (Scotland) and Popproperly (Australia). The band’s punk end can be heard on tracks like “Perfect” and “All I Really Need” (a fast-paced song with a fiddle in the Brighton school vein). “The Traveller’s Lament” is another fave, together with “Dark Waters”, a folk-rock hit. Other interesting pop oriented songs would be “I Wonder if You’re the One”, “Beyond the Fields” and “Home”. And, if you love reggae vibes, check out “The Artist’s Song”. Regarding the packaging, André and his band mates have chosen to deliver the album in a fantastic digipack with a 20 page booklet full of pics and all the lyrics to the song. 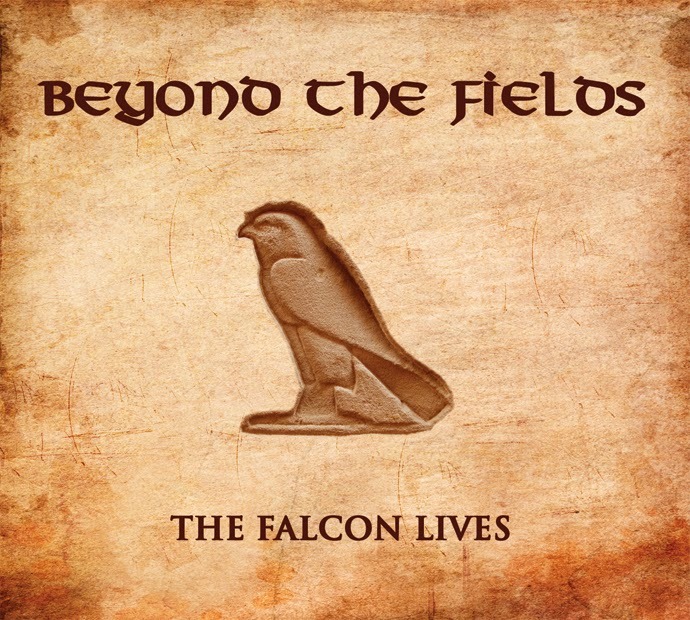 “The Falcon Lives” is not your usual Celtic punk/rock album. Don’t look for Flogging Molly or Dropkick Murphys influences. Nevertheless, open-minded music fans who love to listen carefully to the lyrics and appreciate fiddle and mandolin sounds perfectly backed by a top-notch rhythm section will enjoy this amazing work. FREE DOWNLOAD - DEIEDRA "Ustea Ustel"
VIDEO - THE CLAN "Irish Rock Jigs"
VIDEO - PADDY MURPHY "Hot Girl"
VIDEO - THE KILLIGANS "The Cornhusker"
VIDEO - LÁD CÚIG "Patrick MacKenzie"
VIDEO - SELFISH MURPHY "Drinking Song"
VIDEO - THE SOUTH SHORE RAMBLERS "Thirstday"
VIDEO - BELLY BLUSTER "Whisky Drunkers"
VIDEO - BASTARDS ON PARADE "Bootleggers"
VIDEO - GREENLAND WHALE FISHERS "Queen"